Huddie William Ledbetter (January 20, 1888 – December 6, 1949) was an American folk and blues musician notable for his strong vocals, virtuosity on the twelve-string guitar, and the songbook of folk standards he introduced. He is best known as Lead Belly. 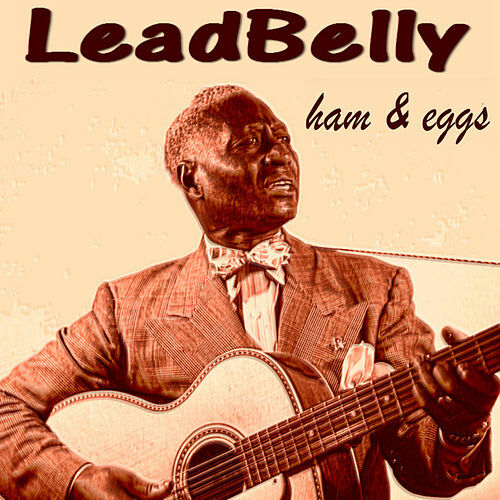 Though many releases list him as “Leadbelly”, he himself wrote it as “Lead Belly”, which is also the spelling on his tombstone and the spelling used by the Lead Belly Foundation. This entry was posted in TV+ShoBiz and tagged Lead Belly - I'm alone because I love you, Lead Belly Sings "Goodnight Irene", Leadbelly - If it wasn't for Dicky, Leadbelly - You Don't Know My Mind, Leadbelly- Frankie And Albert. Bookmark the permalink.